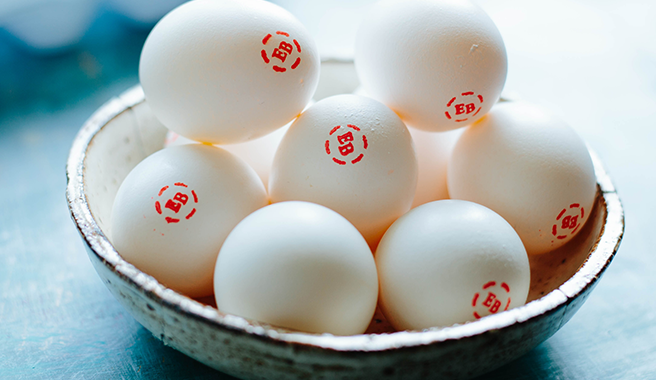 Cedar Knolls, N.J., March 12, 2019 – In honor of National Nutrition Month, Eggland’s Best (EB), the #1 branded egg in the U.S., is teaming up with the Life Time 60daySM program to encourage families to “plus it up” when it comes to their nutrition and wellness. With superior nutritional benefits like six times more vitamin D, 25% less saturated fat and more than double the Omega-3s, Eggland’s Best eggs are the perfect addition to any family meal or workout. 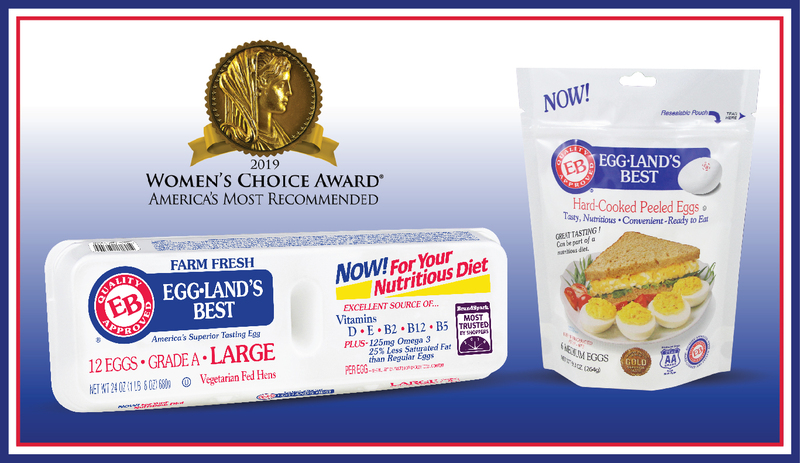 “At Eggland’s Best, we always want to empower families to stay healthy, especially by choosing nutritious foods, which is why we are thrilled to team up with Life Time to help families across the country add superior nutrition to mealtime and live a healthier lifestyle,” said Charlie Lanktree, CEO of Eggland’s Best. 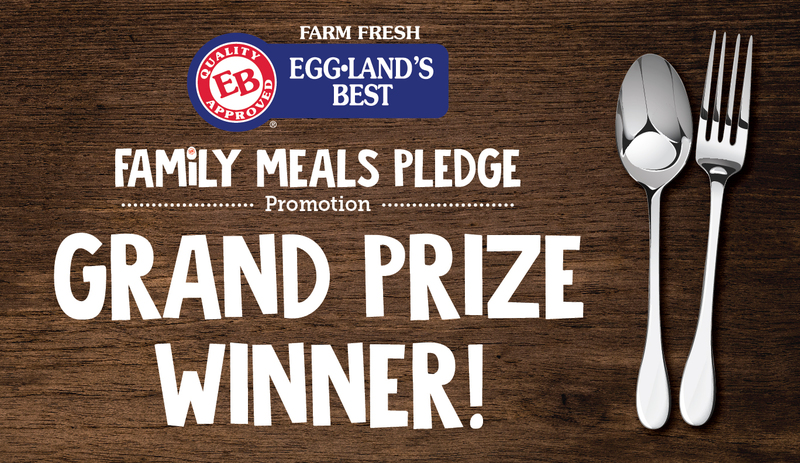 From now through June 25, 2019, Eggland’s Best is giving fans the chance to instantly win one of hundreds of prizes! Prizes include fitness trackers, gift cards, branded items, and more from Life Time and Eggland’s Best, plus a chance to win the grand prize – $5,000 to plus up their family’s fitness routine! Missouri-Inspired Recipe Named “America’s Best Recipe” Contest Grand Prize Winner! All across the United States, fans were encouraged to submit their locally-inspired recipes as part of our “America’s Best Recipe” Contest. 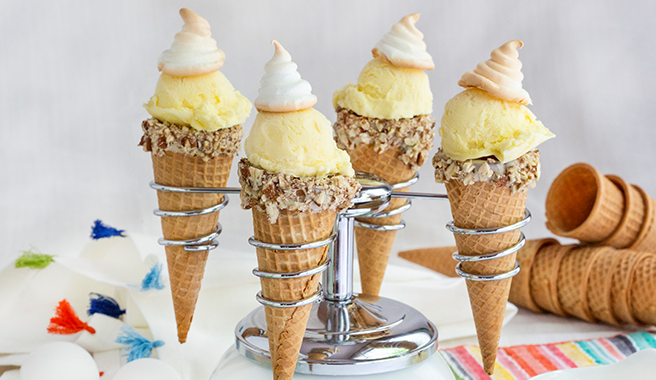 Today, we’re excited to announce that Kellie W.’s World’s Fair Lemon Meringue Ice Cream Cones are the best recipe in America! Santa likes a lot of cookies, but so do we! 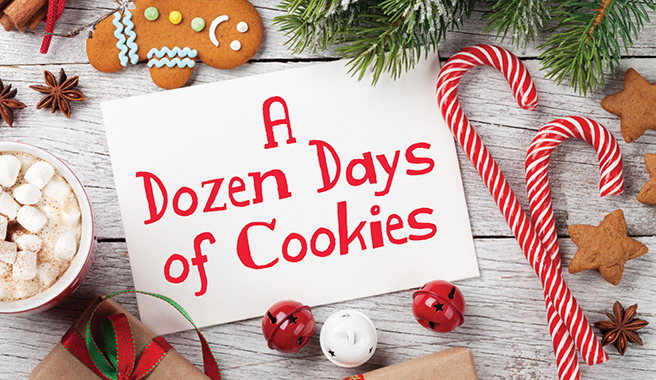 We’re counting down the days until he arrives with 12 of our favorite cookie recipes to get you egg-cited for the holidays. 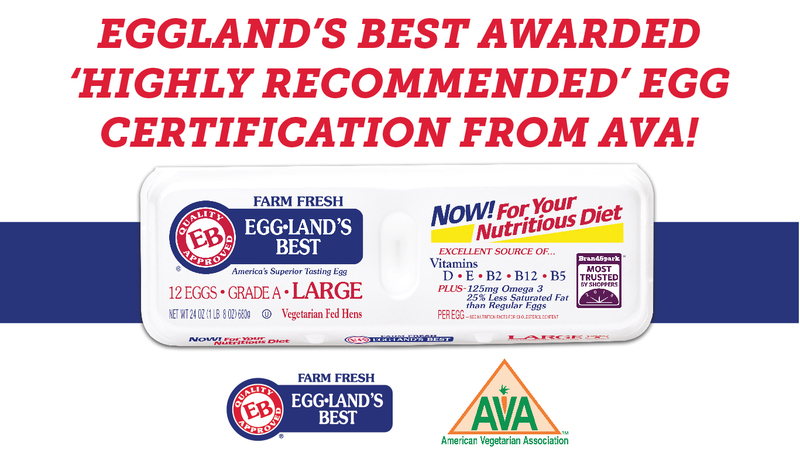 For the 14thconsecutive year, the American Vegetarian Association (AVA) has awarded Eggland’s Best eggs its ‘Highly Recommended’ egg Certification. 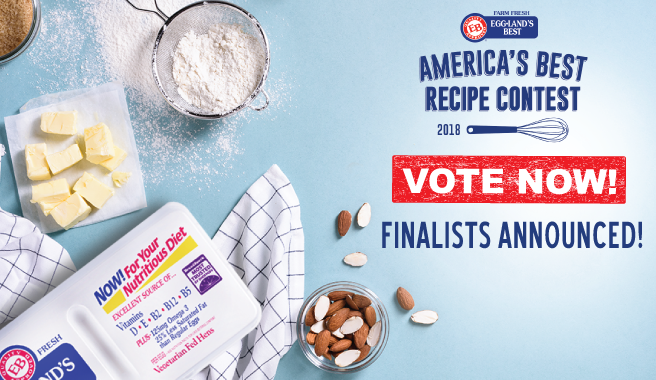 All across the United States, fans were encouraged to submit their locally inspired recipes into the “America’s Best Recipe” Contest and today we’re announcing the finalists in the running to be named the best recipe in America! Eggland’s Best continues to support the fight to end breast cancer with its ongoing partnership with Susan G. Komen®. This year marks the ninth year that Eggland’s Best has helped fund Komen’s mission to save lives by ensuring that all people receive the care they need and finding breakthroughs that prevent and cure breast cancer. 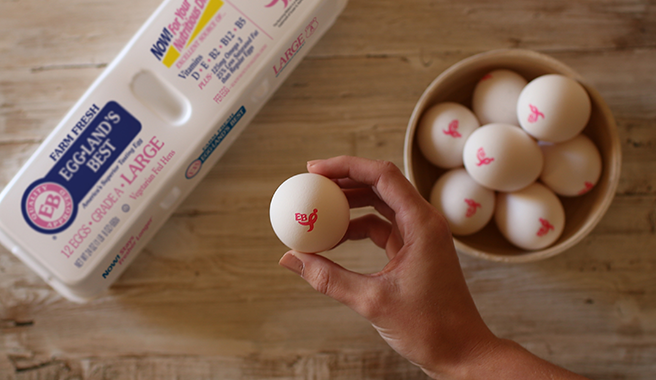 To highlight their commitment and to encourage action from millions of consumers in the fight against breast cancer, the iconic red Eggland’s Best-stamped eggs will instead showcase Susan G. Komen®’s iconic pink Running Ribbon® throughout October, National Breast Cancer Awareness Month. During this time, Eggland’s Best egg cartons will also feature Susan G. Komen® graphics. In 2017-2018, Eggland’s Best will donate $100,000 to Susan G. Komen® regardless of sales. 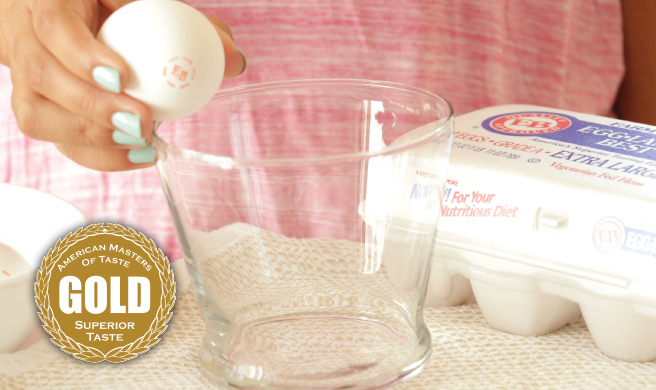 For more information on Eggland’s Best eggs and delicious recipes, visit www.egglandsbest.com.